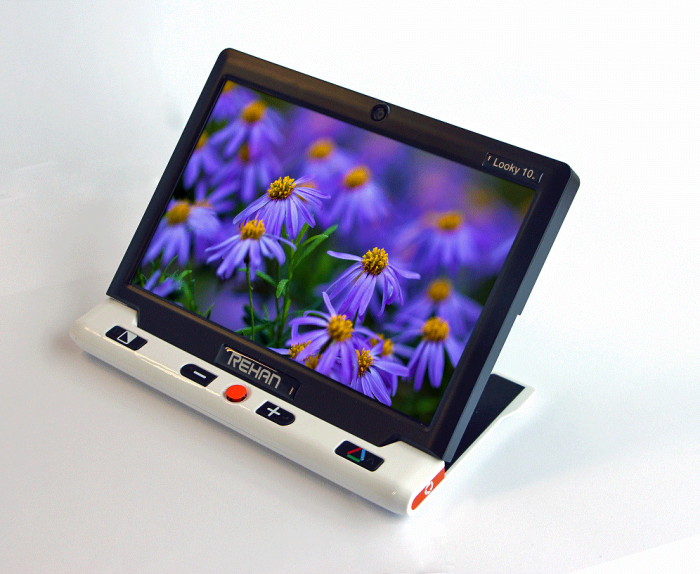 John explains the features of the Looky 10 in this easy to understand video. Watch and learn! Dimensions: 9.65" x 7.87" x 0.87"
How does the Looky work? Place the Looky on or near the text or picture to be enlarged. 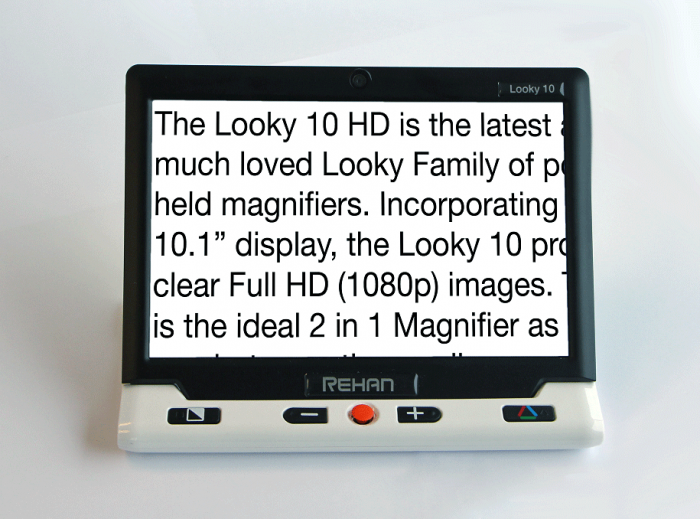 The text will then be magnified and shown on the Looky's screen. If you hold the Looky up to 5 cm above a text, you will always have a clear image and you will be able to read the text perfectly. You can view the text in color, but can also change the contrast to black / white or white / black. 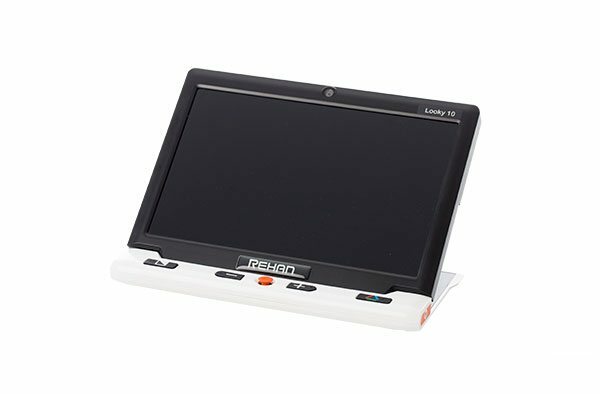 Can I write while using the Looky? Fold the handle all the way in and place the Looky on the document you wish to sign. When you now place the handle flat on a surface, the Looky itself rises up at an angle. You can use the available space to, for example, sign a check. How much does the Looky weigh? They Looky weighs 300 grams (including battery). Can I replace the batteries myself? The batteries of the Looky 5 are incorporated in its detachable handle. You can easily detach the handle and replace it by a fully charged handle. A seperate charger for the handle can be ordered at Rehan Electronics. 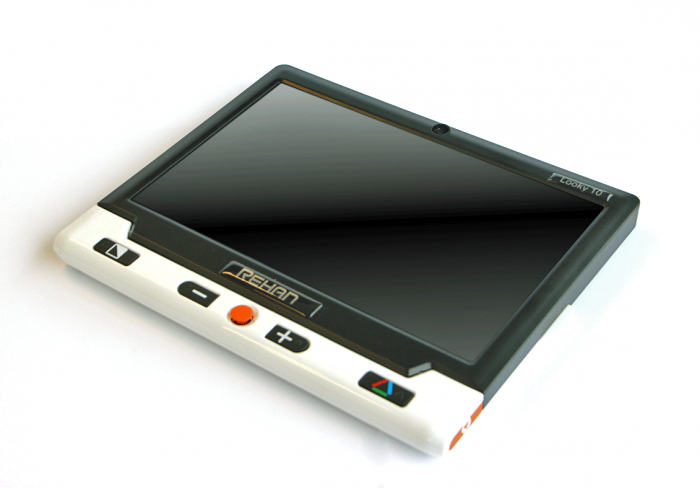 Please send an email to sales@rehanelectronics.ie for more information. Where can I use the Looky? The Looky is ideal for using indoors as well as outdoors, but especially comes in handy when going out to the supermarket, shops, restaurants, etc.